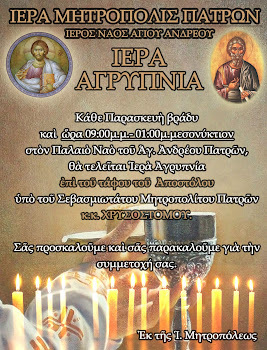 anaplastiki.gr | Αναπλαστική Σχολή Πατρών: "Elder Gervasios Paraskevopoulos"
At world Georgios Paraskevopoulos, been born in Nymfasia(Granitsa Gortynias).Very poor was deprived also the elementary means for his study in the Primary School. 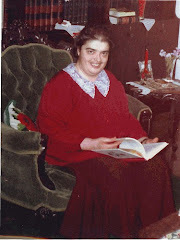 To age of 13 years, moved from divine love, resorted to the monastery of Kernitsis. He really wanted however the education in age of 15 years,began on foot for the Mega Spilaio in order to regist in school of Taxiarxis. His record in the courses caused the envy and was forced to leave also from there. 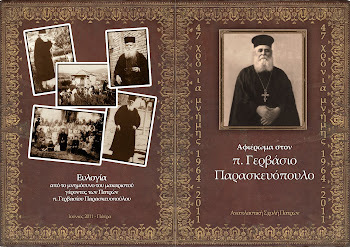 His intellectual radiation of Patras Ierotheos, which was surrounded by crowd of inspired men Eysebios Matthopoylos, Ilias Blachopoylos,P.Loygeris,Gabr Fragkoylis, etc.) fixed him also “it was turned deeper in Patras”. That saint bishop, with his acquaintance, influenced him very deeply. Afterwards his military service, he came back warmer in the ecclesiastical grounds. He was ordained deacon in 1903 from the Metropolite Artis Gennadius and was given him the name Gerbasios. He completed his studies in Rizareio Faculty when director was the Saint Nektarios Kefalas. He was the second big bishop which appreciated particularly the young man. He was always appreciated about his progress so he achieved a scholarship and entered in the University. 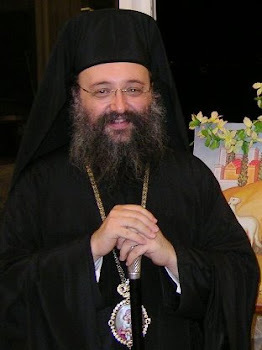 When he took his degree, was placed from the bishop of Athens Theoklitos in the responsible ministration of ecclesiastic court. He was ordained priest in 1912 from the Metropolite Patras Antonios. 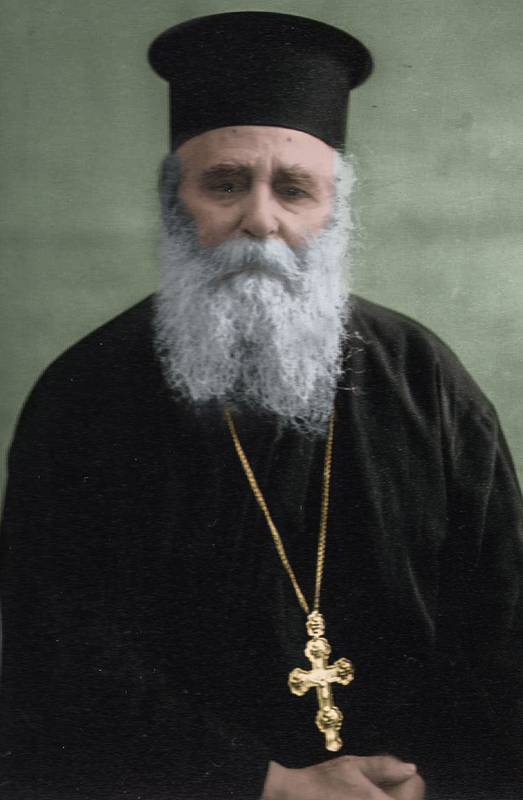 In the legend campaign 1912-16 he participated as priest of first “eyzonik Sidagma”, repeatedly distinguished and decorated from his governors.Afterwards 1917, the elder Gervasios entered in the season of his peaceful fights.He permanently remained in Patras. He served as priest of temples St. Paraskevi and St. Dimitrios and afterwards, without duty he undertook an other “course” genuinely apostolic up to his death. 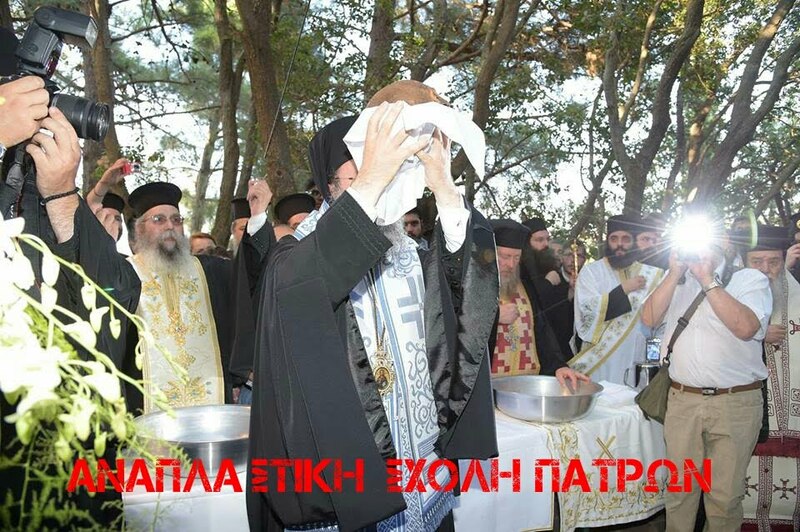 Before and afterwards 1930 he practised prosperously the duties of chacellor at the Mitropolitan of Patras. And finally, in 1939 undertook the duties of big chacellor at the Archdiocese Athens. His first care was the child. He is the first founder in Greece of organised Ecclesiastical Catechistical Schools and from 1923 first conceived the idea of constitution of Ecclesiastical Catechistical Kindergartens. He did not deal systematically with the writing, despite having this talent. He preferred to speak, than to write. He published regularly articles in newspapers and magazines of Patras and Athens. Collections of such articles constitute the published books of “Religious studies” (1945), “ Recently problems” (1948) and “ Interpretative supervision for divine liturgy. ” (1958). He didn’t have the chance to elaborate all the substance of his lessons for the catechism of Greek children. Αναρτήθηκε από Αναπλαστική Σχολή Πατρών στις 5:48:00 π.μ.